Creation care is a hot topic these days, especially in Christian circles. For Laura and me, we find it imperative to take care of what God has given us to be able to share it with those who will come after us. In an effort to show this appreciation for the earth, we chose to celebrate Earth Day this year by sharing with you several important parts of Japanese daily life that we have had to adjust to—and that we’ve come to appreciate—in relation to environmental conservation. Here it goes! 1. 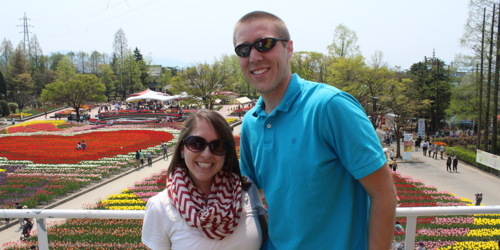 Japanese homes do not leave heaters or air conditioning on all day. 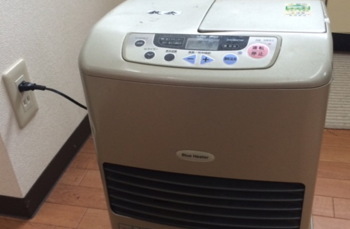 In the winter, Japanese homes and even some businesses are heated by small space heaters rather than the central systems found in many western homes. Most of these heaters in Japan are actually electric, but run on kerosene, meaning that we plug in the heater and then it runs on the kerosene we retrieve from a can outside. We also do have a small wall heater that we run a good bit to keep things warmed up in the apartment during the day. At night, we turn on an electric blanket to make sure we’re nice and cozy when we turn off the heaters. In the warmer months, fans are a necessity alongside a nice wall unit that doubles as a small air conditioner. Open windows with screens keep the air flowing as well. We can hear all that is going on around us in the spring and summer everyone opens their windows. 2. Hot water buttons. In order to get hot water in our apartment, we press a button that turns on the hot water heater outside. It only takes a minute or so to crank up and saves the water heater from running all day long! 3. Japan is an extremely clean place, so early on we thought we would obviously see trashcans everywhere in order to drop off any waste. This is simply not the case. We once walked back home from downtown, about a 20-minute trip, and did not encounter a waste bin to throw out the garbage we had in our hands until we came to a convenience store about five minutes from our apartment. The realities we see are that most people do not eat or drink things while they walk and if they do, they simply do not put it on the ground. How amazing! There is a great respect for nature in the Japanese culture and thus this creates very clean communities, parks, rivers, etc. 4. 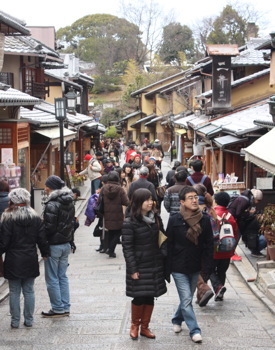 Lots of people in Kanazawa and across Japan either take public transportation, walk, or ride their bikes around town. We, alongside many others have cars, but everyone uses these other methods at various times as well. Outside of the big cities, Japan does not have the urban sprawl or vast countryside that exists in many parts of America, but it makes a huge difference for the environment and our health as we spend more time on foot and using cleaner transportation methods. 5. A small joy of ours is spending nearly every Friday evening at Starbucks, either studying Japanese or writing sermons. We’re glad that the caffeine stimulates the brain because it feels like leaving is a short examination. 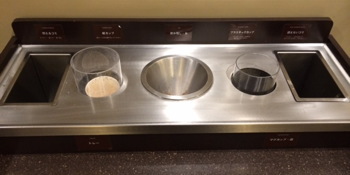 As part of the recycling and waste efforts, quick food restaurants like the ‘bucks have a row of various compartments for disposal. First, you must rid of the excess liquid into a chute labeled “ice”. This is followed by removing the lid (and sometimes cup and straw if the frappucino was the drink of choice) and put those in the “Plastic Cups” and “Non Combustibles” bins. Finally, you are able to throw away the wrapper from that delicious cinnamon bun alongside a paper cup, should you have chosen it over the mug, into two burnable bins, one labeled “Paper Cups” and the other “Combustibles”. Once the test is over, we return home to crash from a sugar high and mental exhaustion. 6. If you go to the grocery store, you should expect not only to bag the items yourself after checking out, but also to bring those bags with you. In order to reduce plastic waste, many Japanese stores expect you to bring a reusable bag from home or pay around 5 cents for a new one from their store. Even this small cost encourages us to bring our three bags that hang in our kitchen area. You can find reusable bags of all sizes at stores for purchase to bring with you around town. Carson makes a big fashion statement each week carrying the freezer items around in a pink polka doted bag back to the car! A/C or heat off? Check. Reusable bags in hand? Check. Away we go on foot to the store!